CHAIRLEADERS ROCKING THE WORLD !! Это не совсем highscore, но мне как футбольному фанату, болельщику сборной Англии и Манчестер Юнайтед, просто дико приятно!!!! 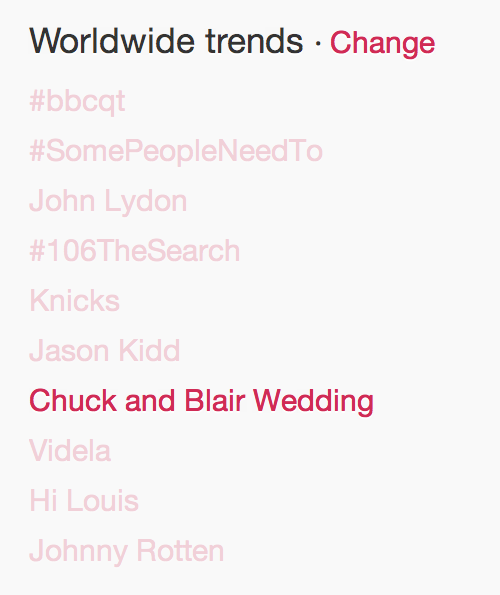 @CW_Network @GGWriters @JoshSchwartz76 We Love Chuck and Blair and #thingsbetterthandair trending simultaneously! After more than 740,000 votes, the ‘Gossip Girl’ duo reigns supreme! Celebrate their win with 25 photos of Chuck & Blair’s history as a couple. Last weekend, I asked HollywoodLife.com readers to pick their favorite TV couple from the past season, and now — seven days, 740,000+ votes, and countless angry comments later — I can finally crown a winner! Are you ready? You might want to ‘sit down’ for this one. (Sorry, bad “Chair” joke.) Anyway, Gossip Girl‘s legendary duo Chuck (Ed Westwick) and Blair (Leighton Meester) have emerged the victors of this battle of ships, beating 24 other hopefuls, including The Vampire Diaries‘ Damon (Ian Somerhalder) and Elena (Nina Dobrev). 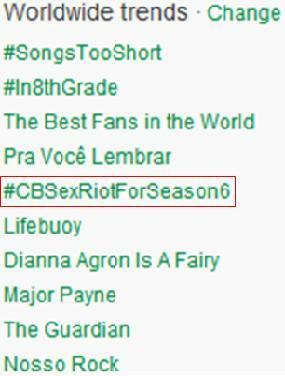 But is it any wonder why Chuck and Blair came out on top? Their relationship has always been buzz worthy, but this past season was easily the most trying for the king and queen of the Upper East Side. After several harrowing obstacles — including a catastrophic wedding, a pregnancy scare, and one very difficult choice — the season finale, at last, united “Chair” in televised bliss. And because the events of the fifth season finale had been building up since Chuck and Blair’s first kiss back in 2007, I decided to gift you all with 25 pictures of their journey thus far, one picture for every couple that “Chair” beat in our original competition.